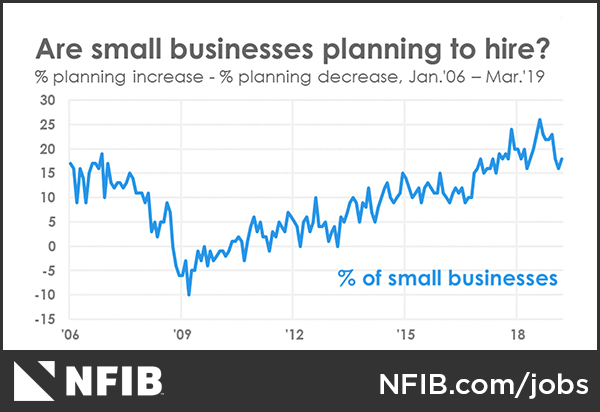 The NFIB Research Foundation has collected Small Business Economic Trends data with quarterly surveys since 1974 and monthly surveys since 1986. Survey respondents are drawn from NFIB’s membership. The survey was conducted in March 2019 and reflects a random sample of 10,000 small-business owners/members. 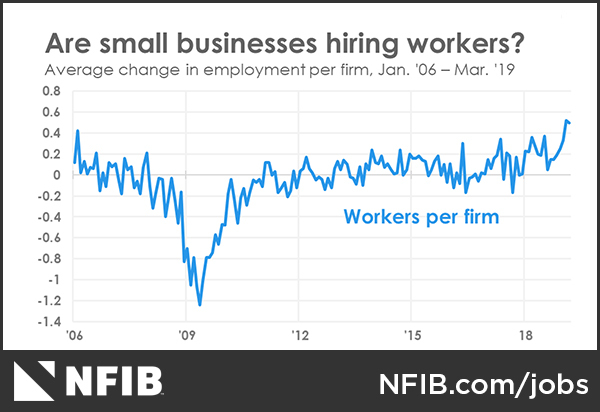 Small business owners continue to hire and create jobs in March, with 12 percent of owners reporting increasing employment an average of 2.7 workers per firm, according to NFIB’s monthly jobs report, released today. Only one percent reported reducing employment an average of 2.4 workers per firm, one of the lowest percentage of owners reporting reductions in survey history. 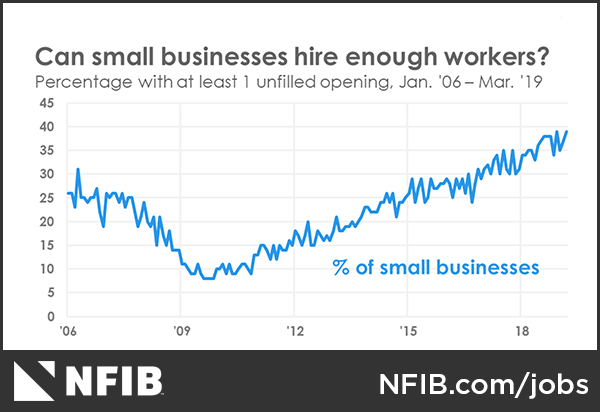 Click here to view the entire NFIB Jobs Report. 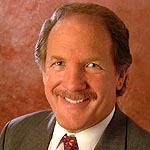 The full Small Business Economic Trends report will be released on Tuesday, April 9th.